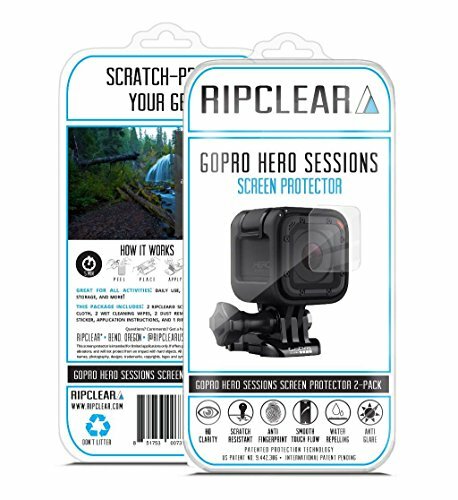 Ripclear Lens Protector Kit for GoPro Hero5 Black Camera - Scratch-Resistant, All-Weather Protection, Crystal Clear Accessory - 2-Pack by RIPCLEAR at EISF. MPN: RPC-CGH5B. Hurry! Limited time offer. Offer valid only while supplies last. Safeguard your lenses and don't let any scratch marks spoil your picture-perfect moments with the Ripclear GoPro Hero5 Black Camera Lens Protector! If you have any questions about this product by RIPCLEAR, contact us by completing and submitting the form below. If you are looking for a specif part number, please include it with your message.